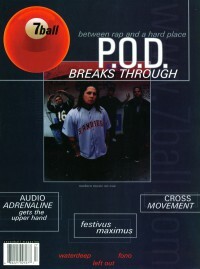 Win 1996 in Garlic Press "Interview: P.O.D." 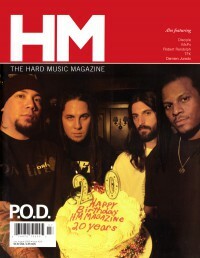 Sep 1998 in HM "Concert Review: The P.O.D. "Evening Encore""
Jan 2000 in HM "Poster: P.O.D." Mar 2000 in 7ball "News Item: P.O.D." 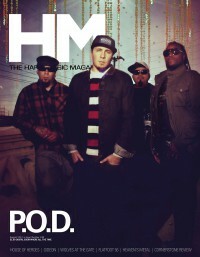 Nov 2000 in HM "Poster: P.O.D." 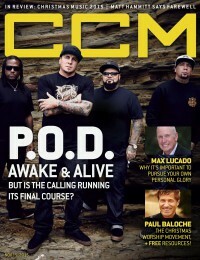 7 Oct 2002 in Christianity Today "Always In Parables: The Future is P.O.D." 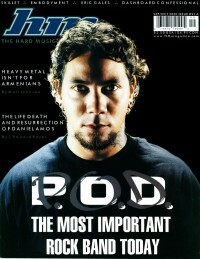 Nov 2002 in New Man "P.O.D. At Ozzfest: Courageous or Foolish?" 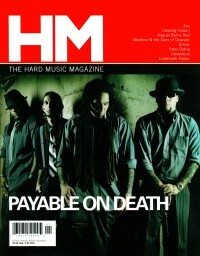 May 2003 in HM "Hardnews: Loss and New Beginnings"
Jul 2003 in HM "Hardnews: ...I'd Want It To Be Truby ..."
Jul 2004 in HM "Live Report: P.O.D., Blindside, Lacuna Coil & Hazen Street"
Jan 2006 in HM "Dream Is Our Middle Name"
Mar 2008 in HM "Poster: P.O.D." 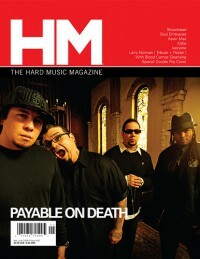 May 2008 in HM "Reunited and It Feels So Good..."
Oct 2012 in HM "Hardnews: Quick & Concise: P.O.D. joins Derri Daugherty & 3 Doors Down Tour"
Hard Music Recorded Song: "Southtown"
Short Form Music Video: "Rock The Party (Off The Hook)"
Rock Recorded Song: "Set Your Eyes To Zion"
Modern Rock/Alternative Recorded Song: "Rock The Party (Off The Hook)"
Song: "Youth Of The Nation"
Hard Music Recorded Song: "Boom"
Best Hard Rock Performance: "Alive"
Best Hard Rock Performance: "Youth of the Nation"
Best New Artist Clip, Modern Rock: "Rock The Party"